Designing a new motor or a gearbox often requires calculating how much torque will be required to perform a primary task of the application. Undersizing or underpowering can lead to premature failure of the equipment. On the other hand, oversizing or overpowering weighs more, requires more space and adds to the cost, affecting the overall efficiency. With over 70 years of experience in creating the right combination of a motor and a gearbox for their customers’ applications, Parvalux has grown into a leading manufacturer of complete gear-motor solutions for industrial applications all over the world. Covering a manifold of industries, including healthcare, leisure, mobility, transport, and a vast array of industrial applications, the Parvalux team is relentlessly working on maximising the overall efficiency of the new gear motor system, designed to meet customer’s aspirations and requirements. 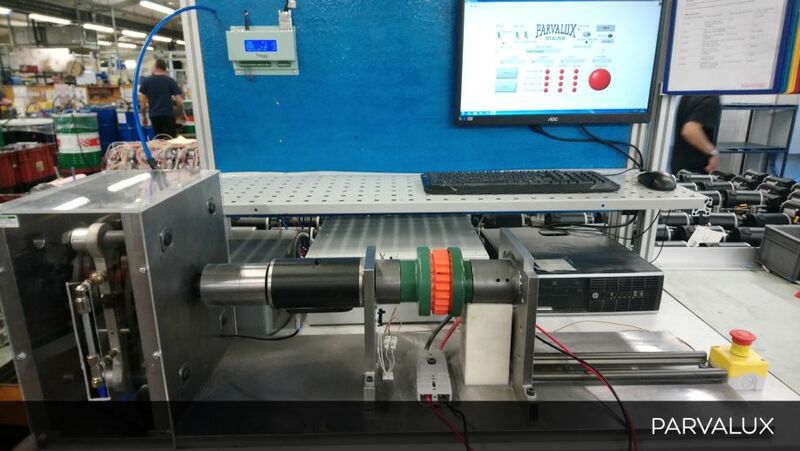 Regardless of whether it’s a standard product or a fully bespoke design, all motors and gearboxes at Parvalux undergo an intensive testing program. Understandably, prior to shipping the solution to a client, the company ensures that the gear motor system, they’re providing, is fully optimised and energy efficient. Since a successful product launch requires intensive testing, the Parvaluxteam needed to verify that the designed system performed as intended. The main task, the Parvalux team had at hand, was to find out the difference between the theoretical and actual performance of motor and gearbox combinations of the new product line. One of the most important parameters to consider was the speed and torque, required to accomplish a main function in the application. Thus, to prove system robustness, the test bench was required to monitor torque applied, speed, current and voltage. The team had to look at certain criteria, including input power (current and voltage), output speed (speed variation, as well as running speed), output torque (starting torque, continuous torque and peak torque), along with load performance. Considering the requirements of the test rig, one colleague suggested using Datum Electronics M425 Rotary Torque Sensor for the application. The suggested torque sensor provides both torque and speed data, required for testing. In addition, the M425 Torque transducer also makes it easy to monitor analogue voltage output in real time, displaying them on the built-in display of the Datum Universal Interface (DUI). The M425 dynamic Torque Sensor Size 1D is capable of measuring up to 100 Nm with the accuracy of 0.1% and rotational speeds of up to 10,000 rpm. The torque sensor is designed to maximise overall accuracy and give a high degree of tolerance, making it a perfect choice for test rig testing. 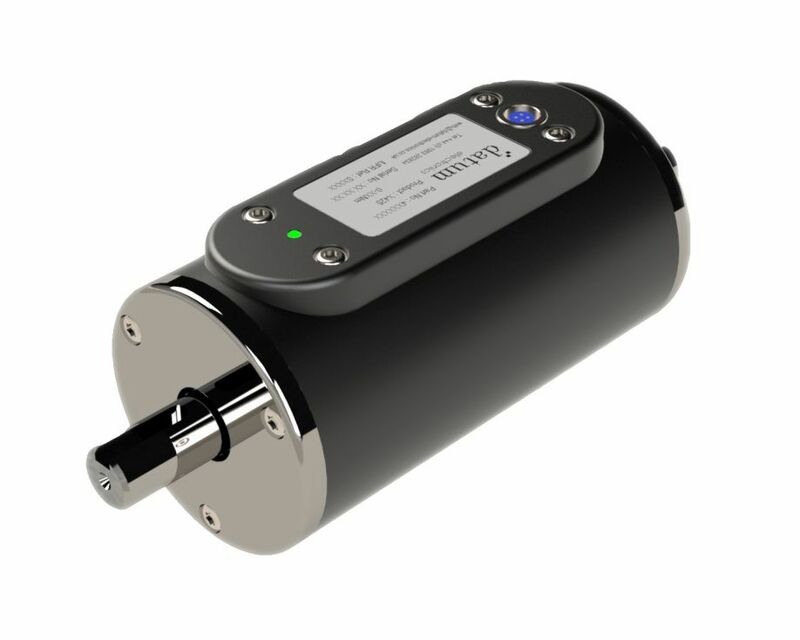 Besides, connected by a power cable to the Universal Torque Transducer Interface, the Datum M425 torque sensors provide a wide range of data output options, making it easier for data to be obtained and analysed, helping to verify actual product performance within the test facility. Choosing the right combination of a motor and a gearbox is very important when it comes to engineering projects and robotics. Parvalux is supplying over 275,000 products a year and wanted to give their clients confidence, that they are supplying a precise, high-quality product, eliminating the risks of costly downtimes and loss of production for their clients. As it stands, using the Datum M425 Torque Sensor they have now completed over 2,500 tests on production parts on a dedicated end of line test rig of their testing facility. The testing helps to ensure that the products are providing the correct speed at required torque levels, associated with ISO quality standards and client requirements.